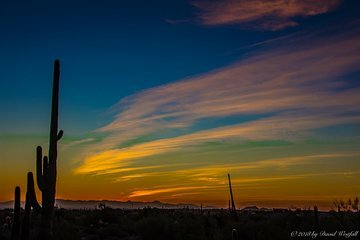 Improve your photography skills with this sunset and western culture photography workshop in Arizona's Apache Junction. This all-levels workshop is led by a professional photographer guide and aims to enhance the artistic nature of your photographs. Learn how to best capture authentic images of western frontier life and desert sunset scenes with saguaro cacti silhouetted in the photos.